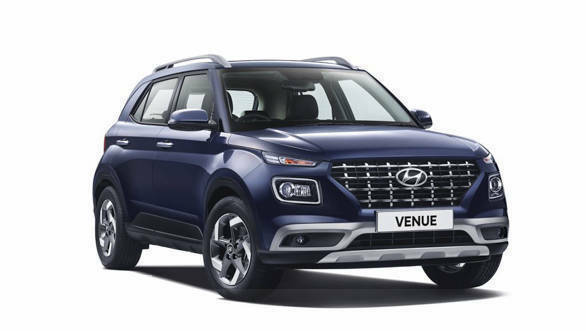 The Hyundai Venue compact SUV has been unveiled in India today, April 17, ahead of its global launch in New delhi on May 21. 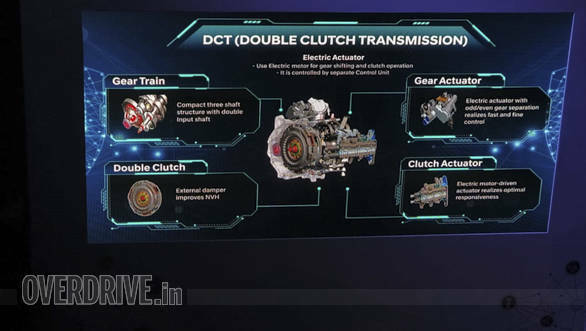 The compact SUV will get two petrol and one diesel engine which will be mated to two manual and one dual-clutch automatic transmission in various permutations. 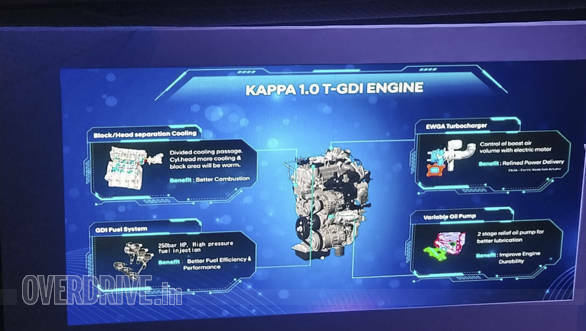 One of the petrols, and of most interest to us, is the new Kappa T-GDI 1.0 litre turbo. This three-cylinder motor will be available in its higher output iteration, which makes 120PS and 172 Nm. Hyundai has also tried to keep the engine unit as small as possible. To this end, the Kappa 1.0 litre's exhaust manifold is integrated within the cylinder head and can therefore be cooled efficiently using its cylinder head water cooling system. This results in faster warm-up of the catalyst and ultimately in improved real-world fuel consumption and emissions. The Venue's engine also adopts a new dual-thermostat split cooling system. consequently, the engine block and cylinder heads can be cooled separately. The main thermostat controls the flow of engine coolant to cylinder heads above 88°C to reduce knocking, while a thermostat on the engine block shuts off coolant flow above 105°C to improve combustion. Also new to the Venue is seven-speed dual clutch automatic transmission. The company claims that this brings a 6 to 10 percent improvment in fule consumption over a regular six-speed torque contertor. Also this gearbox improves accleration times by 4 to 6 percent. This motor is also more efficient and there is no interruption in torque transfer during shifts. The turbo petrol will also be available with a six speed manual. 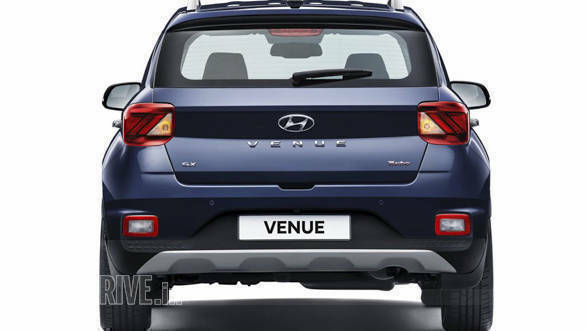 The other petrol motor, for lower-spec cars, will be the 1.2 litre petrol as seen on various Hyundai cars in India. 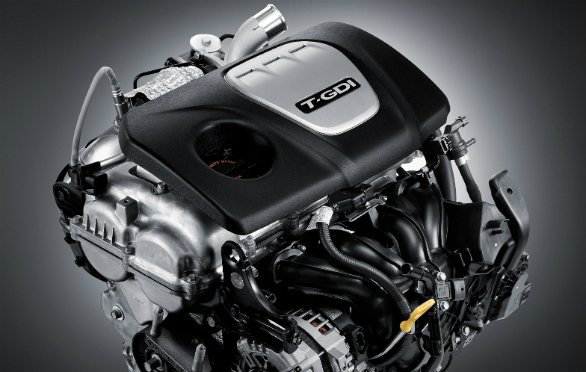 The four cylinder motor is available on cars like the Grand i10 and India-spec Elite i20 and makes 83PS and 116 Nm. Only a five-speed manual gearbox will be paired with this. The single diesel option will be the 1.4 litre four cylinder turbo petrol motor which puts out 90PS and 220 Nm. This motor is already available on the Verna and Creta, and like in those cars will be available with a six-speed manual. No auto option is expected, possibly to keep costs in check.